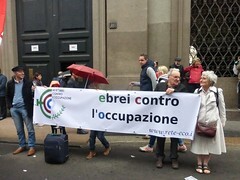 We are a group of Italian Jews against the occupation of the Palestinian land by the State of Israel, and obviously against the Israeli policies related to this. We are active for the peaceful coexistence of Jews and Palestinians in the land between the Jordan river and the Mediterranean sea, which implies the same rights, freedom and independence for all people, whatever their ethnic origin and their religion. 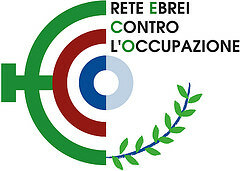 We created our association, Ebrei Contro l’Occupazione (Jews Against The Occupation) in 2001. 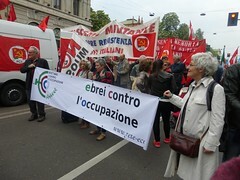 We oppose, just as well, the mainstream stance of the Italian Jewish Communities: the most uncritical Jewish nationalism, which supports Israel whatever it does.